Thunderbirds USA is located in Atlanta, Georgia and was established in 2001. It is owned and operated by Ms. Laurel Manley, a veterinarian technician, with several years experience in exotics, mammals, etc. 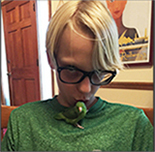 Thunderbirds' breeding pairs include: Spectacled, Green Rump and Pacific Parrotlets, Lineolated Parakeets (assorted mutations including cobalt, dark factor, green, olive, turquoise, cremino, lutino), Meyers Parrots, Red Bellies, Turquoise Green Cheeked Conures, and Mustache Parakeets. All Thunderbirds are fed a Roudybush pelleted diet with egg food, millet, greenstuffs, supplements including probiotic, calcium, minerals and Roudybush premium seed mix. If you're looking for that special bird, Thunderbirds may be the place to land. 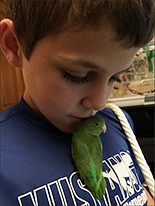 You can read the article written by Laurel, Bringing Home Baby , in Atlanta Petz Magazine. 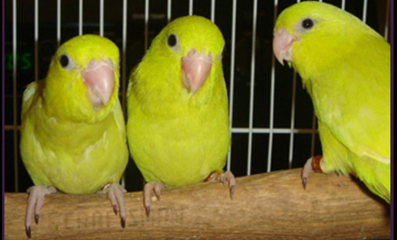 Sweet, socialized, handfed parrotlet babies. Up to 5" big. Capable of talking. apartments, dorm rooms and townhouses. 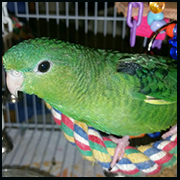 the noise, expense and cage size requirements"
for December, 2017 baby Pacific Parrotlets. 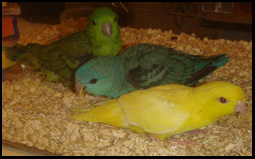 for baby Green Rump Parrotlets. Ready for adoption, December 2017. Shipping exclusively via Continental/United Airlines, PetSate Program. Estimated Continental one-way shipping charges of approximately $95 plus Sky Kennel (with perch and cups included) and handling charge of $50. Checks, cash or payments through PayPal accepted. 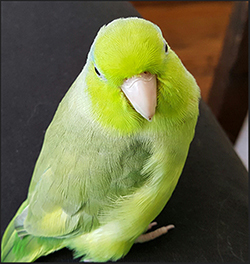 There is a current trend in the avian world, whereby "reputable" bird breeders are shipping your avian friend in a cardboard box via the United States Post Office. This is not only inhumane, it is illegal!